Description: BRAND NEW IN THE BOX AND READY TO SHIP! BUY IT NOW!! The Colt Gold Cup® Trophy is known as the finest shooting semiautomatic in the world and has become the standard for a competitive 1911. 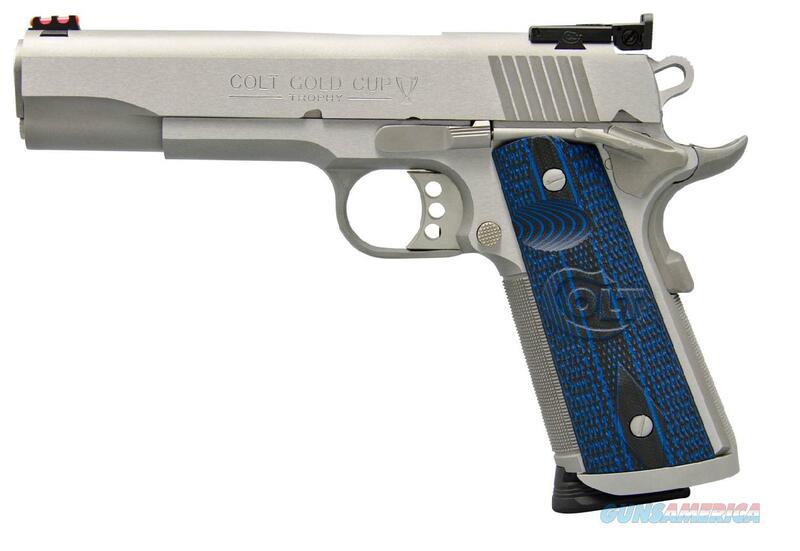 It features the Gold Cup® Series 70™ Wide Target Trigger, Round Top Matte Stainless Slide, and G10 Stocks. National Match® Barrel and Fully Adjustable Bomar Style Rear Sight ensures the utmost accuracy. Integrated Magwell and 25LPI checkering ensure that this Action Shooting pistol is up to every task.